LOCKING 15 AMPERE-125 VOLT NEMA L5-20P PLUG TYPE DETACHABLE POWER CORD SET WITH IEC 60320 LOCKING C-13 CONNECTOR, SJT 14/3 AWG. 105 DEGREE C, 2 POLE- 3 WIRE GROUNDING, 8 FEET LONG. BLACK. Description: LOCKING 15A-125V POWER CORD, NEMA L5-20P LOCKING PLUG, IEC 60320 LOCKING C-13 CONNECTOR, SJT 14/3 AWG. 105 DEGREE C, 2 POLE-3 WIRE GROUNDING (2P+E), 2.5 METERS (8FT.-2IN.) (98") LONG. BLACK. 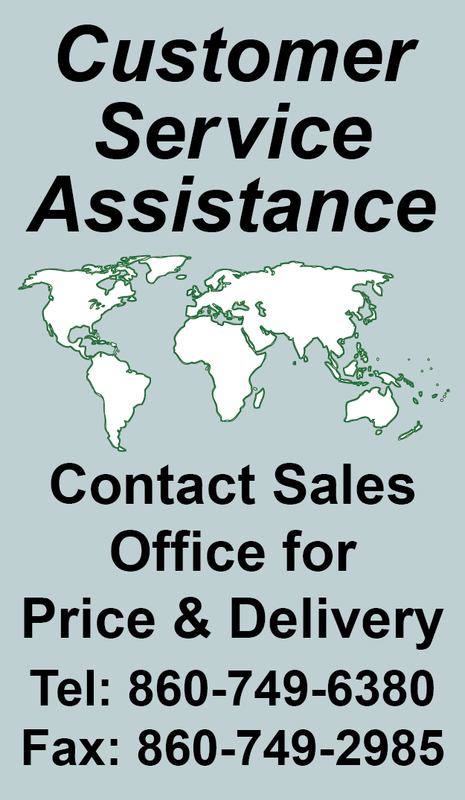 NOTE: LOCKING EUROPEAN, BRITISH, UK, AUSTRALIAN, INTERNATIONAL AND AMERICA / CANADA (NEMA) 5-15P, 5-20P, 6-15P, 6-20P, L5-15P, L6-15P, L5-20P, L6-20P, L5-30P, L6-30P, IEC60309 6h, IEC 60320 C-13, IEC 60320 C-19 LOCKING POWER CORDS ARE LISTED BELOW IN RELATED PRODUCTS. LOCKING IEC 60320 C-13 TO C-14, 10A-250V POWER CORD, C(UL)US, VDE, TUV (UNIVERSAL APPROVALS), IEC 60320 LOCKING C-13 CONNECTOR, IEC 60320 C-14 PLUG, 2.0 METERS (6FT.-7IN.) (79") LONG. BLACK. LOCKING IEC 60320 C-13 TO C-14, 10A-250V POWER CORD, C(UL)US, VDE, TUV (UNIVERSAL APPROVALS), IEC 60320 LOCKING C-13 CONNECTOR, IEC 60320 C-14 PLUG, 3.1 METERS (10FT.-2IN.) (122") LONG. BLACK. 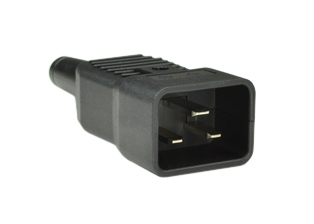 LOCKING IEC 60320 C-13 TO C-14, 10A-250V POWER CORD, C(UL)US, VDE, TUV (UNIVERSAL APPROVALS), IEC 60320 LOCKING C-13 CONNECTOR, IEC 60320 C-14 PLUG, 5.0 METERS (16FT.-5IN.) (197") LONG. BLACK. LOCKING IEC 60320 C-13 10A-250V POWER SUPPLY CORD, C(UL)US, VDE, TUV (UNIVERSAL APPROVALS), IEC 60320 LOCKING C-13 CONNECTOR, STRIPPED ENDS, 1.0 METERS (3FT.-3IN.) (39") LONG, BLACK. LOCKING IEC 60320 C-13 10A-250V POWER SUPPLY CORD, C(UL)US, VDE, TUV (UNIVERSAL APPROVALS), IEC 60320 LOCKING C-13 CONNECTOR, STRIPPED ENDS, 2.0 METERS (6FT.-7IN.) (79") LONG. BLACK. LOCKING IEC 60320 C-13 10A-250V POWER SUPPLY CORD, C(UL)US, VDE, TUV (UNIVERSAL APPROVALS), IEC 60320 LOCKING C-13 CONNECTOR, STRIPPED ENDS, 3.1 METERS (10FT.-2IN.) (122") LONG. BLACK. LOCKING IEC 60320 C-13 10A-250V POWER SUPPLY CORD, C(UL)US, VDE, TUV (UNIVERSAL APPROVALS), IEC 60320 LOCKING C-13 CONNECTOR, STRIPPED ENDS, 5.0 METERS (16FT.-5IN.) (197") LONG. BLACK. 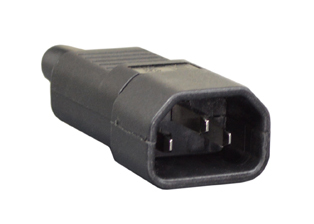 LOCKING IEC 60320 C-19 TO C-20, 15A-250V POWER CORD, C(UL)US APPPROVED, IEC 60320 LOCKING C-19 CONNECTOR, IEC 60320 C-20 PLUG, 14/3 AWG SJT 105�C. 0.9 METERS (3 FEET) (36") LONG. BLACK. LOCKING IEC 60320 C-19 TO C-20, 15A-250V POWER CORD, C(UL)US APPPROVED, IEC 60320 LOCKING C-19 CONNECTOR, IEC 60320 C-20 PLUG, 14/3 AWG SJT 105�C. 1.8 METERS (6 FEET) (72") LONG. BLACK. LOCKING IEC 60320 C-19 TO C-20, 15A-250V POWER CORD, C(UL)US APPPROVED, IEC 60320 LOCKING C-19 CONNECTOR, IEC 60320 C-20 PLUG. 3.66 METERS (12 FEET) (144") LONG. BLACK. LOCKING IEC 60320 C-19 POWER SUPPLY CORD, UNIVERSAL APPROVALS C(UL)US, TUV, 15/16A-250V, IEC 60320 LOCKING C-19 CONNECTOR, 15/3 AWG SJTO - H05VV-F, 1.5 mm�, 105�C, 1.0 METERS (3FT.-3IN.) (39") LONG. BLACK. LOCKING IEC 60320 C-19 POWER SUPPLY CORD, UNIVERSAL APPROVALS C(UL)US, TUV, 15/16A-250V, IEC 60320 LOCKING C-19 CONNECTOR, 15/3 AWG SJTO - H05VV-F, 1.5 mm�, 105�C, 2.0 METERS (6FT.-7IN.) (79") LONG. BLACK. LOCKING IEC 60320 C-19 POWER SUPPLY CORD, UNIVERSAL APPROVALS C(UL)US, TUV, 15/16A-250V, IEC 60320 LOCKING C-19 CONNECTOR, 15/3 AWG SJTO - H05VV-F, 1.5 mm�, 105�C, 3.05 METERS (10 FEET) (120") LONG. BLACK. LOCKING IEC 60320 C-19, 20A-250V POWER SUPPLY CORD, C(UL)US APPPROVED, IEC 60320 LOCKING C-19 CONNECTOR, 12/3 AWG SJTOW 105�C, STRIPPED ENDS. 1.0 METERS (3FT.-3IN.) (39") LONG. BLACK. LOCKING IEC 60320 C-19, 20A-250V POWER SUPPLY CORD, C(UL)US APPPROVED, IEC 60320 LOCKING C-19 CONNECTOR, 12/3 AWG SJTOW 105�C, STRIPPED ENDS. 2.0 METERS (6FT.-7IN.) (79") LONG. BLACK. LOCKING IEC 60320 C-19, 20A-250V POWER SUPPLY CORD, C(UL)US APPPROVED, IEC 60320 LOCKING C-19 CONNECTOR, 12/3 AWG SJTOW 105�C, STRIPPED ENDS. 3.1 METERS (10FT.-2IN.) (122") LONG. BLACK. LOCKING IEC 60320 C-19, 20A-250V POWER SUPPLY CORD, C(UL)US APPPROVED, IEC 60320 LOCKING C-19 CONNECTOR, 12/3 AWG SJTOW 105�C, STRIPPED ENDS. 5.0 METERS (16FT.-5IN.) (197") LONG. BLACK. LOCKING 15A-125V POWER CORD, NEMA 5-20P PLUG, IEC 60320 LOCKING C-13 CONNECTOR, SJT 14/3 AWG. 105 DEGREE C. 2.5 METERS (8FT.-2IN.) (98") LONG. BLACK. LOCKING ITALY (ITALIAN) 10 AMPERE-250 VOLT DETACHABLE POWER CORD, CEI 23-16/VII PLUG (IT1-10P), IEC 60320 LOCKING C-13 CONNECTOR, H05VV-F 1.0mm2 CONDUCTORS, 70 C, 2 POLE- 3 WIRE GROUNDING (2P+E), 2.5 METERS (8FT.-2IN.) (98") LONG. BLACK. LOCKING ITALY 16A-250V POWER CORD, CEI 23-16/VII PLUG (IT2-16P), IEC 60320 LOCKING C-19 CONNECTOR, 2.5 METERS (8FT.-2IN.) (98") LONG. BLACK. 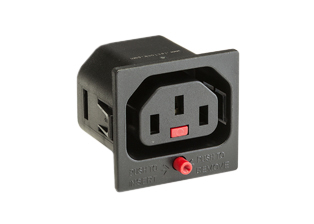 LOCKING SWITZERLAND 10 AMPERE-250 VOLT DETACHABLE POWER CORD (SW1-10P) PLUG, IEC 60320 LOCKING C-13 CONNECTOR, H05VV-F 1.0mm2 CONDUCTORS, 70 C, 2 POLE- 3 WIRE GROUNDING (2P+E), 2.5 METERS (8FT.-2IN.) (98") LONG. BLACK. LOCKING ISRAEL 10A-250V DETACHABLE POWER CORD SI 32 (IS1-16P) PLUG, IEC 60320 LOCKING C-13 CONNECTOR, H05VV-F 1.0mm2 CONDUCTORS, 70 C, 2 POLE-3 WIRE GROUNDING (2P+E), 2.5 METERS (8FT.-2IN.) (98") LONG. BLACK. LOCKING ISRAEL 16A-250V POWER CORD, SI 32 (IS1-16P) PLUG, IEC 60320 LOCKING C-19 CONNECTOR, 2.5 METERS (8FT.-2IN.) (98") LONG. BLACK. LOCKING CHINA 10 AMPERE 250 VOLT DETACHABLE POWER CORD SET, (CH1-10P) PLUG, IEC 60320 LOCKING C-13 CONNECTOR, H05VV-F 1.0mm2 CONDUCTORS, 70 C, 2 POLE-3 WIRE GROUNDING (2P+E), 2.5 METERS (8FT.-2IN.) (98") LONG. BLACK. LOCKING CHINA 16A-250V POWER CORD, (CH2-16P) PLUG, IEC 60320 LOCKING C-19 CONNECTOR, 2.5 METERS (8FT.-2IN.) (98") LONG. BLACK. LOCKING JAPAN 12A-125V POWER CORD, (JA1-15P) PLUG, IEC 60320 LOCKING C-13 CONNECTOR, 2.5 METERS (8FT.-2IN.) (98") LONG. LOCKING JAPAN 15A-125V POWER CORD, (JA1-15P) PLUG, IEC 60320 LOCKING C-19 CONNECTOR, 2.5 METERS (8FT.-2IN.) (98") LONG. BLACK. LOCKING TAIWAN 10 AMPERE-125 VOLTS DETACHABLE POWER CORD, CNS10917-2 (TW1-15) PLUG, IEC 60320 LOCKING C-13 CONNECTOR, H05VV-F 1.0mm2 CONDUCTORS, 70 C, 2 POLE-3 WIRE GROUNDING (2P+E), 2.5 METERS (8FT.-2IN.) (98") LONG. BLACK. LOCKING TAIWAN 15 AMPERE-125 VOLTS DETACHABLE POWER CORD, CNS10917-2 (TW1-15) PLUG, IEC 60320 LOCKING C-19 CONNECTOR, H05VV-F 1.5mm2 CONDUCTORS, 70 C, 2 POLE- 3 WIRE GROUNDING (2P+E), 2.5 METERS (8FT.-2IN.) (98") LONG. BLACK. LOCKING EUROPEAN & SOUTH KOREA 10A-250V DETACHABLE POWER CORD, SCHUKO CEE 7/7 TYPE E, F PLUG (EU1-16P), IEC 60320 LOCKING C-13 CONNECTOR, 2.5 METERS (8FT.-2IN.) (98") LONG. BLACK. LOCKING EUROPEAN & SOUTH KOREA 16A-250V DETACHABLE POWER CORD (SK1-16P) PLUG, IEC 60320 LOCKING C-19 CONNECTOR, 2.5 METERS (8FT.-2IN.) (98") LONG. BLACK. LOCKING ARGENTINA 10 AMPERE-250 VOLT DETACHABLE POWER CORD SET, IRAM 2073 TYPE I PLUG (AR1-10P), IEC 60320 LOCKING C-13 CONNECTOR , H05VV-F 1.0mm2 CONDUCTORS, 70 C, 2 POLE-3 WIRE GROUNDING (2P+E), 2.5 METERS (8FT.-2IN.) (98") LONG. BLACK. LOCKING ARGENTINA 16A-250V POWER CORD, IRAM 2073 TYPE I PLUG (AR2-20P), IEC 60320 LOCKING C-19 CONNECTOR, 2.5 METERS (8FT.-2IN.) (98") LONG. BLACK. 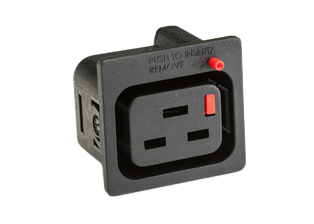 Note: Power Cord mates with Argentina 20A-250V (AR2-20R) Oulets and Universal Multi-Configuration Power Strips # 59208-C19H, 59208-C19V. LOCKING THAILAND 10A-250V DETACHABLE POWER CORD, TYPE O PLUG (TH1-16P), IEC 60320 LOCKING C-13 CONNECTOR , H05VV-F 1.0mm2 CONDUCTORS, 70 C, 2 POLE- 3 WIRE GROUNDING (2P+E), 2.5 METERS (8FT.-2IN.) (98") LONG. BLACK. LOCKING THAILAND 16A-250V POWER CORD, PLUG (TH1-16P) TYPE O, IEC 60320 LOCKING C-19 CONNECTOR, 2.5 METERS (8FT.-2IN.) LONG. BLACK.